The full swivel and pivot action of the Jergens Hoist Ring allows you to flip and turn parts without unhooking. Plus, the extra-large diameter rings let you use almost any size hook. 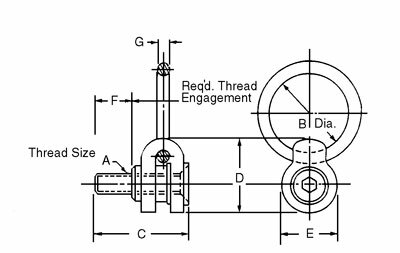 Stated load capacity based on specific thread torques as shown in chart. It is recommended that these torques be used when installing hoist rings.